- Publisher Here is a book of wisdom for today's youth market based on the way Christ lived. 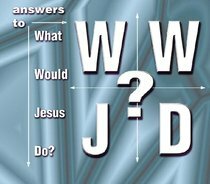 About "What Would Jesus Do"
Here is a book of wisdom for today's youth market based on the way Christ lived. Courrege is the co-owner of Courrege Design, a Christian gift manufacturer.